How Are Restaurants Coping with the New Minimum Wage? Second to retail trade only, restaurants are the most affected industry by new minimum wage increases. Because profit margins are low for most restaurants, the significant $15/hour wage increase just instituted in California (and starting to be seen in big cities across the country) will require restaurants to reassess budgets and find creative ways to balance costs. What Minimum Wages are Changing? While the federal minimum wage has remained at $7.25 in 2016, there are 16 states that are increasing minimum wages this year (varying from .05 cents to $1/hour). In California, the legislature has now approved a plan to increase the minimum wage from $10/hour to $10.50 next year, with incremental increases up to $15/hour by 2022. In addition, larger cities around the nation, including Seattle, New York, San Francisco and Los Angeles have agreed to a $15/hour minimum wage increase that will be implemented over the next few years. How Will California’s Restaurant Industry be Affected? Where some studies indicate that small increases to minimum wage over time have not hurt the restaurant industry, the same cannot yet be said about the more significant and sudden increase we are now seeing here in California. Such a substantial wage increase is going to affect different areas of the state in different ways. Cities with higher traffic that have the benefit of tourism are going to be better able to weather the quick rise in minimum wage. This is because tourists are not as price sensitive as locals when it comes to dining out. Additionally, some of the higher-end restaurants in larger cities can get away with high-priced entrees that will help in recouping wage increases. However, restaurants in smaller towns cannot justify charging $20 and up for each plate, yet are still going to be required to keep up with the same steady rise in minimum wage, regardless of their profitability. In the areas that have already seen a minimum wage hike, restaurants have had to implement new strategies in an attempt to balance increased costs. In Los Angeles, some restaurants are increasing menu prices, eliminating tipping, and increasing employee wages. The new legislation does not count tips as part of the minimum wage. In addition to receiving their tips, staff at the front of the house are also receiving a minimum wage increase. In some instances, this is working to widen the wage gap between servers and those that work in the kitchen. In an attempt to balance the wage increases throughout the restaurant, some are eliminating tipping while moderately increasing wages for those in the kitchen who would not have received tips, and for the other (non-minimum wage) employees that would otherwise feel slighted by not receiving any wage increase. Other Los Angeles restaurants have instituted service charges, which are owned by the employer and need not be shared with the employees. However, service charges can lead to disgruntled and/or confused customers who do not like seeing another line item on their bill, and may not know whether or not they are expected to tip on top of that service charge. Unfortunately, some restaurants have had to cut hours, reduce staff, close operations on slower days of the week, and/or automate services, which has also led to a reduction in force. How Will Other States be Affected if they Follow California’s Lead? We are getting indicators from some cities throughout the nation that have already raised their minimum wage, as to how different states may be affected should they follow suit and adopt California’s minimum wage increase. In New York City, which will see an increase to a $15/hour minimum wage by 2018, with some restaurants moving toward “all inclusive pricing,” meaning that tipping is eliminated and prices are increased. In Seattle, which has already seen an increase of their minimum wage from $9.50 to $11/hour (with employers of more than 500 required to increase their minimum wage to $15/hour by next year), some restaurants have already increased their prices by 21 percent. Initial reports say that since Seattle’s minimum wage increase, the number of restaurant employees has increased by only 0.6 percent in the city, compared to a 6.0 percent increase throughout the rest of Washington. Unfortunately, this wage increase will be just one more element that makes it harder for businesses to thrive in California. 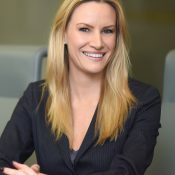 Lindsay Ayers is a partner at Carothers DiSante & Freudenberger LLP. She advises and defends California businesses in labor, employment and general business matters. She represents clients in matters including unfair competition, fiduciary duty, breach of contract, negligence, unjust enrichment, securities, fraud and government regulatory actions.